Lung macrophage. 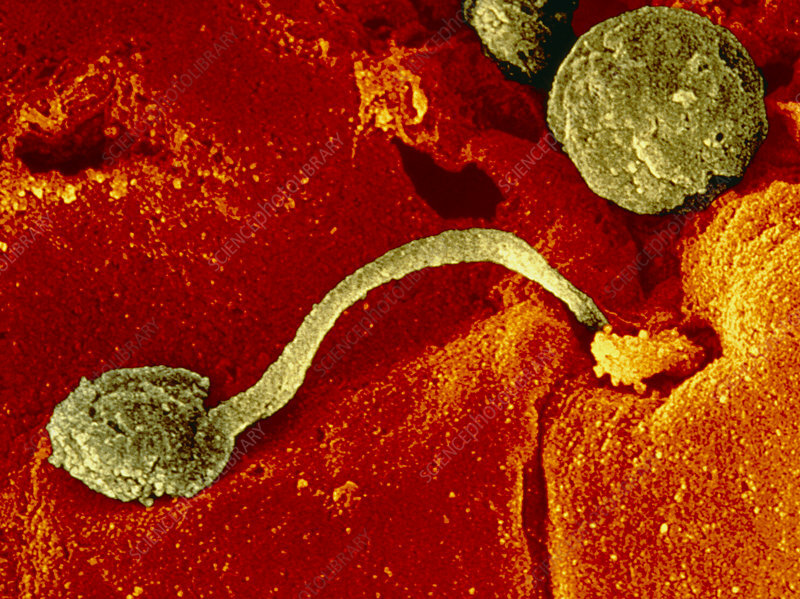 Coloured scanning electron micrograph (SEM) of a macrophage (green, lower left) probing a lung cell (orange, lower right) for invading pathogens. Macrophage white blood cells help to clear the lungs of dust, pollen and bacterial and viral invaders. They attack foreign particles by extending part of their cell body, as seen here, and engulfing and digesting the particle. This process is known as phagocytosis. This lung tissue is from a patient suffering with pneumonia, a respiratory infection which causes fever, and breathing difficulties. Pneumonia is caused by invading bacterial or viral pathogens. Magnification: x2200 at 6x8.5cm size.